When it comes to choosing the right tiny house materials to use for your new home, it’s best to prioritize your needs. Ask yourself if the price is the most important aspect to you or if you will spend a little more to ensure your new home is eco-friendly. If you are building a tiny house on wheels, then you’ll likely prefer using lightweight materials to make it easier to tow. Take a look at these material lists based on different priorities to help you better decide what kind of tiny house you want to build. When you’re looking to build your tiny house at the lowest cost possible, the materials you use can make all the difference. Since you’re building on a budget, you’ll want to start collecting materials early. Even if you don’t plan to start building for a few months, you’ll want to start your search now and ensure you get the lowest prices. 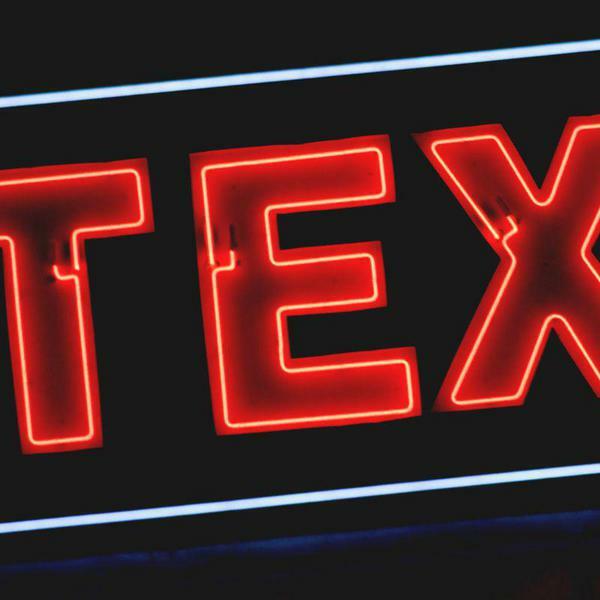 Check local junkyards for salvaged materials. Use materials you already have and can repurpose. Find recycled materials for low-cost flooring, siding, insulation, etc. Check on Craigslist, Amazon, and eBay for free or cheap supplies. Take advantage of local garage sales. Borrow tools and buy materials off of friends. Keep track of demolition sites nearby. Shop at nonprofit stores like the Habitat Restore. These are a list of materials you will need to purchase to build the frame of your tiny house. The frame consists of the basic structure and does not apply to the interior. A trailer is only necessary if you plan to build your tiny home on wheels and tow it with a truck. Depending if you buy one new or used, as well as the size of the trailer, you can expect to pay anywhere from a few hundred dollars to a few thousand. While buying used can save you some money, it’s important that you don’t purchase a trailer that appears to be rusting, or you’ll end up having to spend far more on damages when your house falls off of it. The structural frame of your tiny house will likely be built out of lumber. Depending on the size of the home you’re building, the average cost of the wood, screws, and sheathing is $3,000. If you need to hire help to put together the structure, you’ll likely need to add a few hundred dollars to this cost. However, if you use lumber that’s in good shape from someone giving away an old shed or a demolition site, you’ll end up spending far less or nothing at all. Commonly used siding materials include wood, metal, and vinyl. Since you’re building on a budget, the smartest option is to use any reclaimed materials that you can get your hands on. 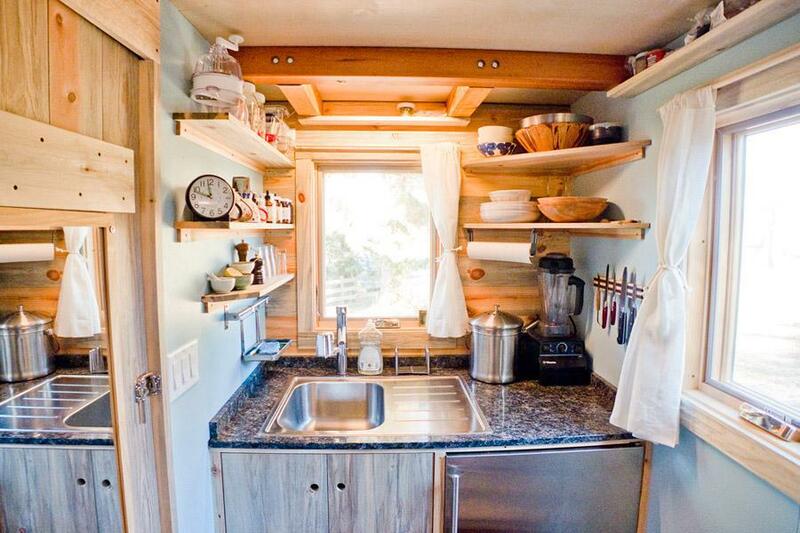 You might not have the prettiest tiny house, but you’ll save quite a bit! 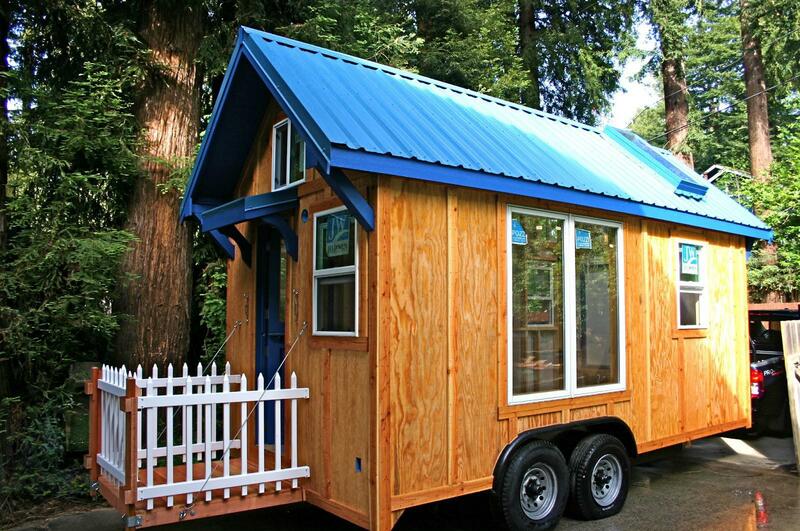 When you’re working with limited funds, you’ll likely be building your tiny house on your own. If you’re lucky, you’ll get the help of a few friends and family members. When it comes to the roof, you want something not only affordable but one that doesn’t require a professional to install. Asphalt shingles are both of these things and are a popular choice for tiny house roofing. Instead of building your tiny house’s frame out of lumber, use salvaged materials. The most commonly used repurposed structures include storage containers, school buses, and train cars. You can use anything though, so let your imagination go wild! 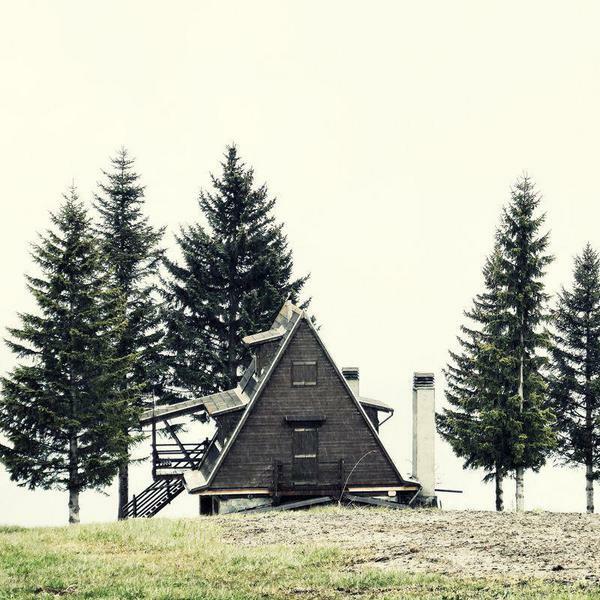 If you can snag a potential structure for free, then you really don’t have anything to lose. When it comes to your tiny house’s windows and doors, it’s crucial to avoid needing custom sizing if you want to stay on budget. You should have these materials all picked out or even purchased before the building process begins. This way, you’re able to include these measurements during the design process. The average cost of second-hand or discounted windows and doors are between $50 and $500, but having to order customized windows can cost you over a thousand dollars. When you’re pinching pennies, you should start off looking on Craigslist and junkyards. If you aren’t looking for anything specific, you’ll easily be able to find windows and doors for your tiny house project for practically nothing. There are numerous insulation options for your tiny house, but when you’re on a budget, you likely want to go with the cheapest one. Fiberglass comes in large, rolled batts that are pre-cut to fit the standard distance between studs, making them easy to install yourself. It costs on average between $0.64 to $1.19 per foot. Choosing the tiny lifestyle doesn’t mean you have to give up all of the comforts a regular sized house offers. A materials list for your utilities should address all the necessities such as heat and water, as well as a few luxuries like air conditioning. While there are a number of options to supply your tiny house with electricity, you have to consider what will work best for your lifestyle. Solar panels are not just eco-friendly, but they give you more flexibility with where your build (or park) your tiny house. 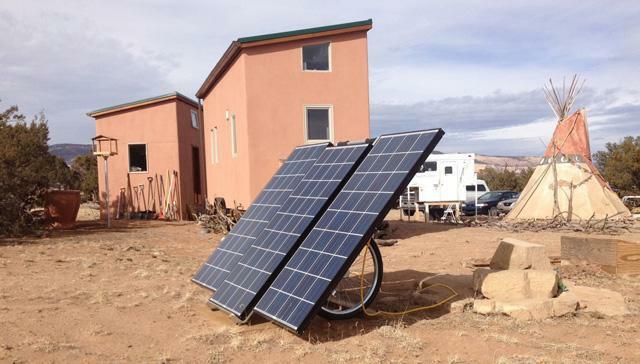 Part of off-grid living is being unplugged from the electric grid, which can be made possible with a solar power setup. While the cost upfront might be more than you’d like, it pays for itself over time as your electric bill will be close to nothing. If you’re building a tiny house on wheels, you’ll want to use a portable solar generator kit so that you have the freedom to travel with them. 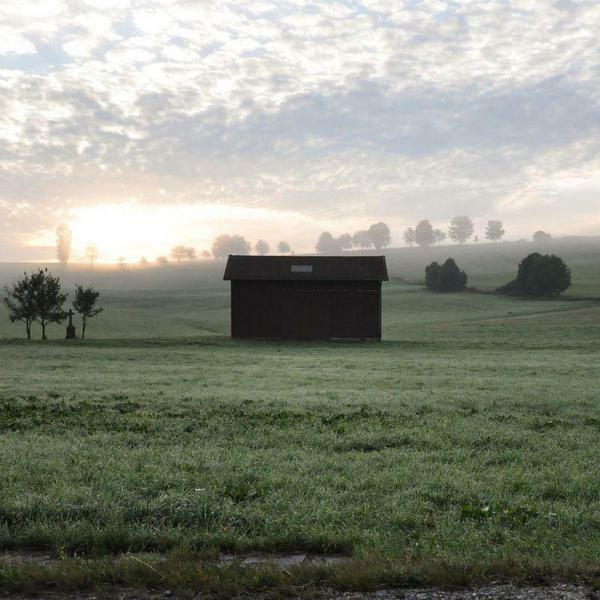 Homes that are built on land can use a more permanent solar power system. Every tiny house requires a fresh water tank. This is a container that holds the water that comes out of your sink taps and shower head. You can purchase this tank in numerous sizes, but keep in mind that the smaller your water container is, the more often it will need to be refilled. Since fresh water tanks are usually stored in dark areas, a filter is required to eliminate any bacteria and impurities. To get your water to flow from your fresh water tank to your faucets and out of your showerhead, you’ll need a basic water pump. They’re on the expensive side, but necessary to have running water in your tiny house. When you live in a tiny house, you have to create a place for all of your used water to go. This includes the water used to wash your dishes and shower water. Some people choose to collect this water in a grey water tank and dump it. Others collect it and use it to water their plants or flowers. Depending on where your house is, you might be able to get away with it running a hose outside into the ground. If you can’t go without regular hot showers, you’re going to need a tankless water heater and propane system. This luxury is far from cheap, so you might want to consider skipping it if your budget doesn’t allow for it. The tankless water heater alone costs around $1,200 and a dual propane tank setup will run you around $300. If you choose to splurge for a hot water system that uses propane, then it would be cost effective to use a propane heating system as well. These days you can hang a lightweight unit on your wall that’s able to heat your entire house without it taking up too much space. When you’re installing something like this, it’s important to take the unit’s size and weight into consideration. When you’re on a budget, you want to be able to use what you already have. An air conditioning window unit might not be ideal, as they tend to be chunky, but it’s the most cost-effective option. If you don’t already own an A/C window unit, then you might want to consider spending a little bit more for a compact or mountable unit. 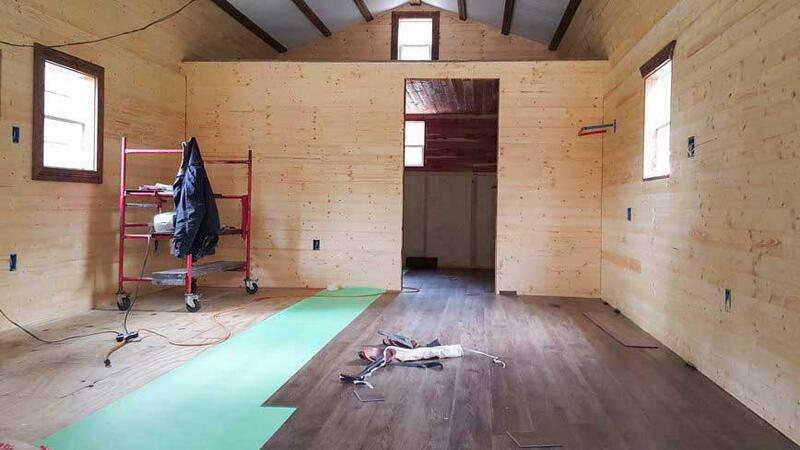 Once you’ve completed building your tiny house frame, your next step is to work on the interior. Even though you’re working with a limited budget, you can still come up with a look or style you want to aim for. Whether it be modern or rustic, you’ll be able to find materials at a low cost. Drywall doesn’t always work for tiny houses, as it’s heavy and more likely to crack if you build your house on wheels. The best option for your interior siding when you’re on a budget is plywood. It might not be the prettiest, but it’s inexpensive, and you can paint it any color you’d like. The average cost of a 4’ x 8’ piece of plywood is $15, so your cost of materials will depend on the size of your tiny house. When you’re looking at flooring options for your tiny house, don’t be surprised if you have to purchase it new. Looking on Craigslist or at garage sales, you’ll probably only find people selling their leftovers. Unless you’re okay with having a multi-colored floor, shop at Lowes or The Home Depot where you can get laminate flooring for under a dollar per square foot. Even though you should design your tiny house so that it allows in a ton of natural lighting, you’ll also need a few light fixtures to use when the sun sets. This is when you should take advantage of garage sales and online auctions. Whether you’re looking for something funky or classic, you’ll definitely be able to get what you need at a reasonable cost. Even the smallest houses need cabinets to store pots and pans in and a countertop to cook on. The price will depend on your design plans and needs, but at the very least you can expect to need two kitchen cabinets and one countertop. Keep your eye out for garage sales and Craigslist freebies, and you’ll be able to snag these items for practically nothing. Since you’re working with limited space in a tiny house, you likely won’t be able to use the average size appliances you’re used to. How you choose to power your home will also affect which appliances you can and can not use. You may want to consider what appliances you already have before making any electrical decisions. Remember that mini fridge you had in your college dorm room? If you still have it laying around somewhere, then you don’t need to budget for a new refrigerator. When you’re on a budget, every penny counts. If you need to pick up a refrigerator, try to wait until May or June when the universities in your area let out. You’ll be able to find what you need for close to nothing. While you can’t expect to be cooking major feasts in your tiny house, you’ll want to be able to have access to a stovetop so you can prepare yourself basic meals. Depending on how often you cook, you can choose between a single hotplate or a full stovetop. Since you’re on a budget, it would be cheaper to buy one or two hotplates, as a full stovetop will run you over $350 brand new. Unless you’re able to find both a kitchen and bathroom sink at a low cost, you might want to only install one. Likely you’ll use a bathroom sink to wash your hands and face, both which can be done in a kitchen sink instead. If you end up needing to buy most of your kitchen appliances, you might want to consider getting a combo kitchen like these at Compact Appliances. A bucket toilet is pretty much as basic as it sounds. It requires just a few materials to make, including a large bucket, wooden enclosure, and a toilet seat. If it’s built properly, it won’t feel much different than any other toilet you’ve used. It does, however, require you to find something to cover up the smell and clean it out every now and then. Most people choose to let the bucket sit to compost for a few years after it is full. The most important thing to remember when collecting materials to use for your tiny house shower is that you’ll need to waterproof the area. While you’re likely used to having tiles on your bathroom walls, this can be too heavy for a house on wheels. Instead, build a shower enclosure using extra metal roofing materials or waterproof your wood siding with a sealer. A RV shower pan works great for the floor, and you can set it up so that it drains similar to a regular tub. 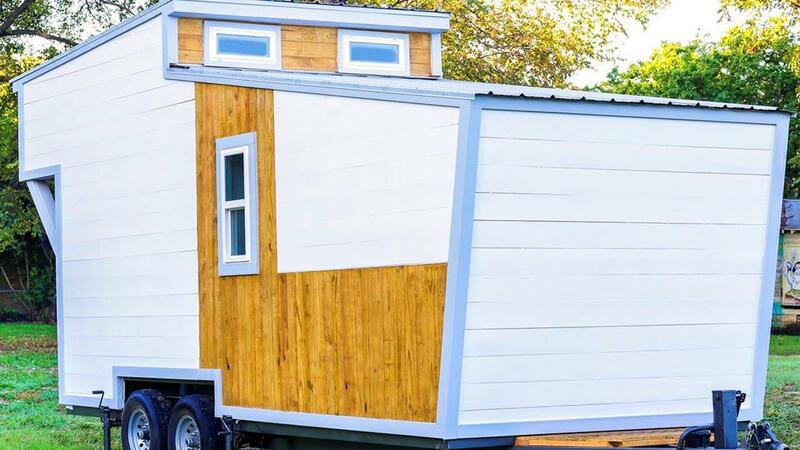 If you’re building a tiny house on wheels, you’ll want to keep the weight of your structure in mind throughout the entire process. Not only are heavy houses harder to tow, but most road permits (which you’ll need) have weight limits. Consider these alternative tiny house materials if your goal is to keep your new home lightweight. Instead of putting up a wood siding, use honeycomb wood panels with a hollow interior. They’re structurally stable and insulated, but incredibly lightweight. Use this kind of material to build any interior furniture as well such as a table or shelves. Regular roof shingles can be clunky and will add a lot of unnecessary weight to your tiny house. A lightweight option is to use metal roofing panels, which can be salvaged from a junkyard or purchased for relatively cheap. While many people use wood to build their tiny house frame, that’s certainly not the only option. Steel tends to be lighter and just as sturdy. People tend to be more comfortable working with wood and it’s a bit cheaper, but if you need to keep your house’s weight down, this will certainly help! One of the biggest draws to the tiny house lifestyle is the fact that it saves people a ton of money. Not only is it far cheaper to build than any house on the market these days, but it will continue to keep money in your pocket with is energy saving features. If you want to ensure your tiny house is built to save the most energy, consider using these alternative materials. When you have a tiny house on wheels, avoiding the brutally cold weather can be as simple as packing up and driving south. However, if you enjoy the cooler months, you’ll need to have a heating system in place. 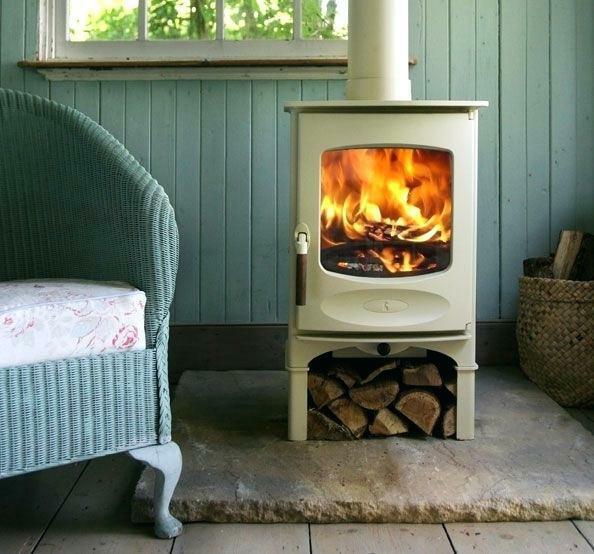 An indoor wood stove can help to keep your tiny house nice and toasty, and if you buy one with a stovetop, you can put on a pot of tea as well. It can be used to replace another heating system or as a backup. They might be more expensive than electric appliances, but if you’re looking for energy saving alternatives, go solar. You’ll be grateful when you’re able to reduce your power bills to little to nothing, and it’s always good to have a backup when you’re living off the grid. Items that you use outside especially should be solar powered such as a BBQ and any outdoor lights. By using LED light bulbs, you’ll be using up to 75 percent less energy. While this is common knowledge among homeowners, it can sometimes be forgotten. When you start planning to build your tiny house on wheels or a piece of land, you’ll notice that you will ultimately be saving money and using less energy than you would in most other living situations. There’s no avoiding it, but you should prioritize one or the other. After you’ve decided what home features are most important to you and have created a tiny house design plan, you’re ready for the next big step. Whether you’re looking for tiny house materials that are the most cost-effective, lightweight, or eco-friendly, creating a list of supplies before you begin to build will save you lots of headaches down the line. A materials list will not only help you to create an informative budget, but it will give you an idea of the overall timeframe for your project. Since it’s basically a shopping list, doing this will also save time and energy while making trips to the store, junkyard, and garage sales. When you have a list dictating what materials you need, you tend to be more focused on the task at hand. Use it as a checklist, and you’ll have all of your tiny house materials in no time! 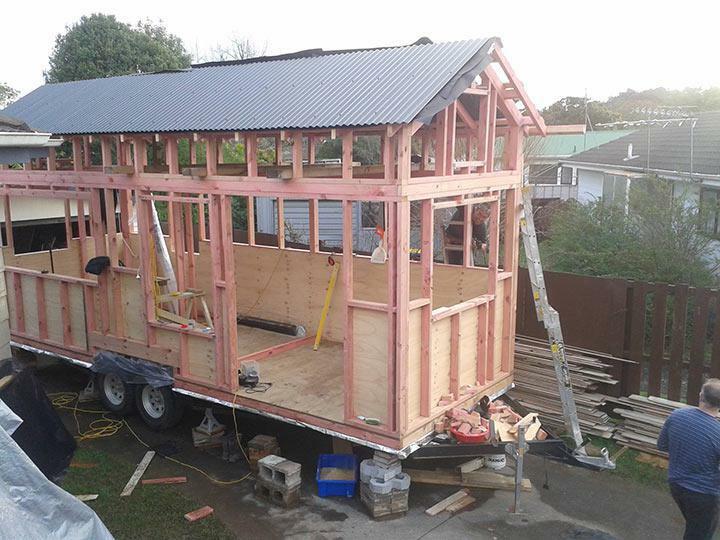 Looking for a tiny house builder? Let us find a builder for your project through our verified builders list.